The Saints have hung 30 or more points on San Francisco in the last four meetings against them. The 49ers were gashed for 31 points in Week 1 by the underdog Seahawks in an embarrassing 31-6 loss. The Monday Night Football clash in the Bay Area between San Francisco and New Orleans has all the makings for a Saints offensive explosion when it kicks off at 8:30 p.m. ET. On top of that, the defending Super Bowl champs have an extra three days of rest after opening the NFL season last Thursday night. The odds certainly seem stacked against San Francisco, but it does have one thing on its side, history. 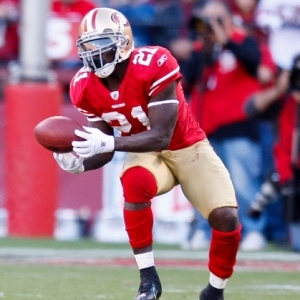 The 49ers have shown tremendous improvement from the first week of the season to the second. They are 4-0 ATS and 4-0 SU in the second week of the season over the last four years. The Saints are 1-0, but they will certainly need to show some improvement from their opening night performance if they expect to win another primetime tilt. The Saints trailed Minnesota, 9-7, at halftime and only mustered one second-half score, but managed to escape with a 14-9 win. New Orleans now hits the road where another 79-yard team rushing performance likely will not be enough. Playing last Thursday night and with 10 days of rest may actually hurt the Saints. Since 2006, teams playing on the NFL’s opening night have gone a combined 3-5 SU and 2-6 ATS in Week 2. The 49ers entered the season with expectations almost as high as New Orleans. Many pundits had the Niners pegged to win the NFC West, if not more, but their Week 1 performance was the most unexpected and the most lopsided loss. The 49ers defense looked strong early on. They led 3-0 in the second quarter, but things fell apart as the San Francisco running game was nonexistent and Alex Smith was forced to throw the ball 45 times. He was intercepted twice and one of those picks was returned for a second-half touchdown to eventually put Seattle up 21-6 and put the game out of reach. The blame can hardly fall on the San Francisco defense that only allowed 77 rushing yards and 165 yards through the air. This is the same San Francisco defense that held five of its last eight opponents last season to single digits. There are only a few injuries of note in this game. San Francisco’s newly acquired wide receiver Ted Ginn Jr. is not expected back until Week 4 with a sprained MCL he sustained at Seattle in Week 1. Saints safety Darren Sharper is looking at a mid-season return from his knee surgery. The Saints are six-point favorites and the total is 44. The line opened at four or 4.5 at most sportsbooks and tremendous public action on New Orleans has brought the line to 5.5 and even as high as six in some places. The total of 44 has remained steady for the most part. The New Orleans Saints are a typical Monday Night Football public monster. They are the defending champions playing on a primetime stage for the second consecutive week and they are loaded with players who put up fantasy football-friendly numbers. The San Diego Chargers in Week 1 were the first public monster to lose outright on Monday Night Football and New Orleans could be the second. Week 2 of the NFL season always sees the biggest overreaction amongst bettors and fans. One bad performance by San Francisco has many forgetting them already despite the high preseason expectations. Monday Night Football returns to the Bay Area where the 49ers have won their last three games on the league’s biggest stage. The 49ers will be retiring Jerry Rice’s number at halftime in an already high-energy environment. Take San Francisco and the points. Allen Eastman is back with his 99 System for NFL picks in 2010 and before he even came across this system he was considered one of the best NFL handicappers in the business – now he is just unstoppable. The system is 30-16-1 the last two seasons and he has a 99 System pick going for Monday Night Football tonight. This system not only helped his clients make a boatload of money, but also helped Eastman to third place in the prestigious Las Vegas Hilton NFL Contest.